We're still proud of you, Rachel! (SPOT.ph) It's safe to say that Rachel Peters has come a long way to the coveted Miss Universe crown. We look back at this gorgeous queen's inspiring journey to the title. 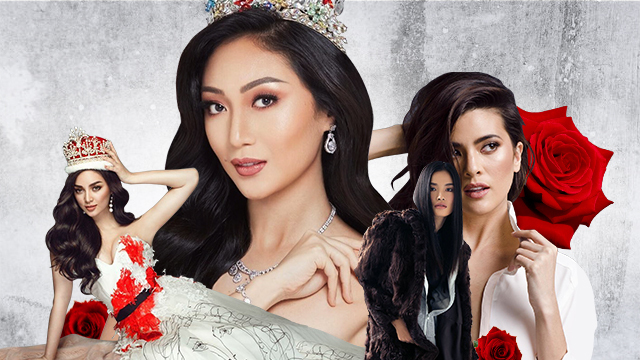 The 2017 Binibining Pilipinas pageant wasn't the first time Rachel took on the crown. In 2014, she tried her hand in the Miss World pageant, and landed in fourth place to Valerie Weigmann. During the pageant's Q&A, she proved she was eloquent and graceful under pressure when European Union Ambassador to the Philippines Franz Jessen asked, "If you were invited to speak [in the ASEAN Summit], what would have been your message to the leaders?" She impressed the judges and would-be fans saying, "I believe that one of the biggest problems that our country faces today is divisiveness in politics, religion and also in culture. And I believe that is something that is the same across the world and so that is something that I would want to address. I believe that when people can learn to tolerate each other's differences and respect each other's opinions, then we will just be a stronger nation and world." Rachel is a certified beach babe (just check out her Instagram account) and she's always been a sporty gal, but she tells ABS-CBN Lifestyle that even she had to undergo intense preparation for the pageant. That includes a new diet (no carbs! ), Pilates, boxing, yoga, regular weight training, and even pre-workout supplements. Rachel's hard work seems to have paid off because she impressed judges with her turn in the preliminaries, including the much-awaited swimsuit (above) and National Costume (below) competitions. In case you were wondering, her gilded Sarimanok costume is designed by Val Taguba and Jojo Baragais (the gladiator heels). Rachel's evening gown was also designed by Val Taguba, but there was a bit of a controversy surrounding the dress, as it was "leaked" to the public before the airing of the preliminaries. Rachel, however, shrugged it off while the designer explained that it was one of five other dresses planned for the event. Sadly, Rachel's journey to the crown was cut short as she failed to make it to the Top 5 finalists. The final five are as follows: Miss South Africa, Miss Venezuela, Miss Thailand, Miss Jamaica, and Miss Colombia.